Mike Wengren Signature Drums Sticks, Drum Stick from Vater. Vater has announced the availability of its new signature drum sticks model designed by the multi-platinum drummer of the band Disturbed, Mike Wengren. According to Vater, this stick measures in between a 5B and a 2B with a quick taper to an oval nylon tip. The extra length gives some added weight and a bit more reach. 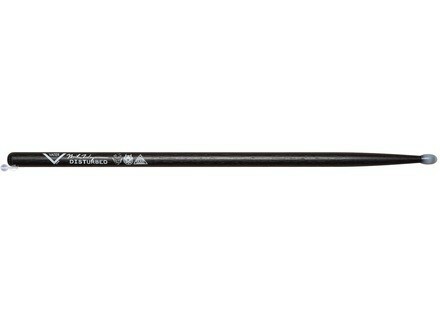 Nicely weighted and durable, this is a perfect stick for hard-hitting drumming. Stick is finished in a black stain with artwork featuring Disturbed's album logo. Length: 17" ; Diameter: .625"
Roland RMP-12 Roland is pleased to announce that the new RMP-12 marching percussion instrument is now available in stores. Organic Custom Drums Dual Floating Shell Design Organic Drums present their unique, patent-pending Dual Floating Shell snare drums design.